Twitter is the most recent company to join the list of those acknowledging that their computers have been recently hacked by the Chinese government. The Washington Post has claimed it was the victim of attempts two years ago. 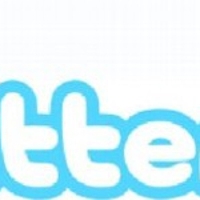 Twitter announced yesterday in a blog post that this week, there were many attempts to hack the site. The attacks on Twitter have not been on the company itself, but on a quarter of a million of the user base of Twitter, which is 200 million. Twitter described the percentage hit as a very small one. The information stolen included user names and passwords for the members. Twitter sent out emails of people that were affected by the hack informing them of what had happened. Twitter was able to shut down one attempt to collect the data for the user accounts. The Washington Post announced also that it was the victim of an attack back in 2011, according to a recent article released. The article stated that the attacks may have started even as early as 2008 or 2009, but who was performing the attack. Twitter and the Washington Post join other companies such as The New York Times, The Wall Street Journal, and many other private journalism companies. These companies have announced that the Chinese government has hacked into their computers to allegedly monitor what has been released recently though the media about its own affairs. According to reports, China has been looking into attacking computers in order to gain information about the United States media for several years, but the Chinese government has denied these allegations.